Acell + needling -- was there a verdict on this? Tried looking back through the archives, but I wasn’t able to find the info I was looking for. 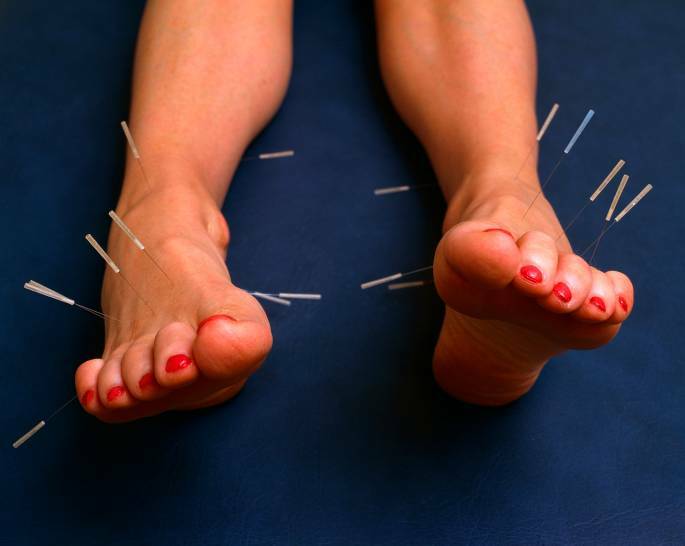 I know there’s been lots of theorizing about Acell and needling… have there been any actual experiments with this? I know there’s been the promising plucking/translanting as well as the not so promising strip HT healing. I ask because I’m considering giving it a go (I may have found a way to snag some, if it might be worth the effort). My hairloss is an early nw3 with diffuse thinning. Not quite HT material, but I’d be alot happier if I weren’t so thin on my crown. » I was looking for. Heh. Well, I guess I just meant wounding (in this case, with a skin-roller with needles). It’s basically combining the wounding theories with the acell theories… but hey, maybe two half-baked ideas can make a fully baked idea. Yeah, I know. Probably not. Mostly wondering if this has been tried and proven a dud yet. i don’t know if any docs have tried needling and then applying Acell, but i agree it should be considered. I don’t know how effective the powder form of Acell would be. It would seem as though a liquid or gel form would be more appropriate, to have a better opportunity to be delivered to the correct depth within the skin. And there is still the possibility that, even if needling & Acell did not produce new hairs or rejuvenate existing hairs, the needling + Acell treatment may improve the scalp by inducing tissue remodeling (reduction of fibotic tissue, changes in collagen & elastin profiles, improved blood flow, etc…) that would be beneficial for both donor and recipient scalp regions. It would be easy enough to devise a logical treatment protocol and measure the results. Google Acell CIT. Not sure if I can post the link here. They did they guys crown with just Acell, PRP and needling. He states the crown is growing new hairs. In the front they did CIT (FUE)transplant with ACELL and PRP. He states the healing was way faster than previous HT and transplanted hairs are showing in 60 days. Note that they are now using a different delivery mechanism for the ACELL as they stated they had difficulty administering it. Not sure if this guy recieved the new method of delivery. It was done back in April so I’m assuming he received the old method. » Google Acell CIT. Not sure if I can post the link here. » transplanted hairs are showing in 60 days. » assuming he received the old method. Hitzig talks about it and shows pictures in his presentation. He takes PRP and acell, creates a wound and injects the mixture. » PRP and acell, creates a wound and injects the mixture. Here is the patient summary. Note he says he continutes to see new hairs around his grafted hairs. Crown - micro-needling healed within 2 days. Front - All scabs were gone in 7 days. Front - Minimal shedding of grafts. Front - 20-30% shedding of grafts(much lower than pervious procedures). Red bumps were occurring in the area of the grafts because new hairs were already pushing in behind the grafts. Front - red bumps continue because grafts are not shedding. Crown - Visible thickening, previous small hairs are maturing…wahoo!!! Front - Grafts are growing well and continue to see new hairs around the grafted hairs. Is that a “before” pic"? Are there any pics of this patient after the use of Acell? There is a before pic on the first page of the thread and an after pic on the second page. The lighting is different so it’s not a good comparison. The guy claims he is seeing new hairs. Can you get your hands on ACELL powder Willy? I’m thinking we can use a dermaroller on the balding area, pluck from the donor, apply acell, and place the plucked hairs in the holes made by the dermaroller. Similar to what Cooley did. I’ve never used a dermaroller so this may be harder to do than what I’m thinking as the holes may be too small. I would be willing to try it though. It would seem any doctor could prescribe the stuff. I’m pretty sure any doctor can prescribe Acell, but since I’m not a doctor, I can’t get it. By the way, I didn’t notice that there were two pages…thanks! » than what I’m thinking as the holes may be too small. I think this would be very, very hard to pull off. HT docs are working with magnified glasses, somewhat close to the top of your scalp. Also, the average follicle depth is 3mm, deeper than you could do without numbing up the scalp pretty well. And that’s not even talking about hair direction. Well, I hate to jinx this… but it appears I may be getting some Acell powder shortly. I’ll need to do some research as to how to best approach this. I’ll definitely keep you guys updated and I will definitely be taking photos (I’m actually a half-competant photographer, so I will be making sure the lighting is consistent). I’m fairly sure this will not amount to much just like all the other DIY hair treatments, but this has almost become a hobby for me at this point. I’ve put much crazier things onto my head over the years. » » than what I’m thinking as the holes may be too small. » the scalp pretty well. And that’s not even talking about hair direction. » sure the lighting is consistent). » hair treatments, but this has almost become a hobby for me at this point. » I’ve put much crazier things onto my head over the years. » » » place the plucked hairs in the holes made by the dermaroller. » » » than what I’m thinking as the holes may be too small. » » the scalp pretty well. And that’s not even talking about hair direction. It most likely won’t work just by itself. However, you can use Acell to “piggy-back” on the so called window-of-opportunity that Follica has put their money on. Pluck some (but not necessarily all) hair in the target area. Wait 2-3 days. Now dermabrade it with sandpaper or light acid. Just the top-layer (aim for a wound that heals completely in about a week). Wait 3 days for healing to take place. At this point start rolling with an Acell solution. Since I doubt you’ll have access to a centrifuge and/or medical expertise to draw arterial blood for an Acell+arterial blood plasma solution, I’d suggest you buy some saline to make a liquid solution with Acell. controlled damage of the skin signals the body to cover the area with either new skin, or new hair. The former is much more common, though the latter is the aim here. plucking some hairs a few days prior to dermabrasion will greatly increase the chances of regrowth. As a DIY:er, this is by far the most practical approach. You should go ahead and just roll on a separate area, for control, but while I hope it will work, I very much doubt that it will. Personally, I think this Acell-business, outside of HT, is best used with small incision holes, that are then treated with Acell (as well as surrounding injections in a fan-out pattern that doctor Cooley explains in one of the two videos available on the subject). Sort of like a HT transplant, without any actual hair being transplanted. If you take Cooley’s word for it, Acell needs both an actual wound AND additional injections in a general, spread out area. I think the figure is 1:10, so quite a lot of small injections. This is not do-able at home, at least not without some fairly serious medical training. Plucking, waiting, dermabrading, waiting, acell-rolling (and possibly with some minoxodil too) will probably be your best bet. It is, right now, too much of a gamble for DIY:ers to perform this (FUE-slits), and especially so when arterial blood plasma might be an integral part of the growth that’s attributed to using Acell. Just my 2 cents, based mostly on my own DIY experiments, which corresponds nicely with what actual professionals says works, and what does not work. This might all seem fairly involved and complicated, but as we all should know by now, correct application makes all the difference. There’s no point in ordering (expensive) Acell and apply it without drawing from all the free information that is already available, and making sure you do not just repeat an already explored mistake. If this is something you’re still seriously considering, and if you’re interested in more details about what did and did not work with me, drop me a PM. But preferably after you’ve secured some Acell, and intend to go through with it. Hard to believe it worked out, but I’ve got 60mg of Acell. Thanks so much for the thoughts in your your post, Orin. That all makes sense to me. Tried to figure out how to send a PM, but have no idea of do it on this board. Nothing on profiles that I can tell. Definitely curious about any additional details you can send my way. Mammals do not regenerate spontaneously. In some instances, such as skin, ‘partial regeneration’ may be induced by the use of biodegradable (collagen-glycoaminoglycan) scaffolds. These scaffolds are structurally analogous to extracellular matrix (ECM) found in normal/un-injured dermis. Interestingly, fundamental conditions required for tissue regeneration often oppose conditions that favor efficient wound repair, including inhibition of (1) platelet activation, (2) inflammatory response, and (3) wound contraction. In addition to providing support for fibroblast and endothelial cell attachment, biodegradable scaffolds inhibit wound contraction, thereby allowing the healing process to proceed towards a more-regenerative/less-scarring pathway. If you’ve read the Follica patent, that sounds very familiar. They’re inhibiting inflammation and inhibiting EGF… basically, slowing down healing. So, for my experiment, I’m thinking of using some topical clobetasol to suppress inflammation. The anti-cancer drugs are a little scary to me, so I’m looking for alternatives there. I was looking into this stuff a couple years ago. IMHO you might consider using topical Tacrolimus for inflammation. It’s already made in a topical product. The product is pretty safe not to screw up the healing of skin wounds in general. It wouldn’t be as strong as a real systemic immune system smackdown but it’s something. I was also considering doing a combination of a moderate degree of systemic immune suppression with the addition of the topical Tacro cream just on the wound site.